Cherry Hills - Don't miss the opportunity and value of this unique home. MLS#2569516. KENTWOOD REAL ESTATE DTC, LLC. 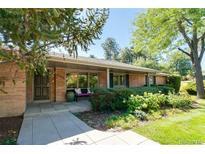 Rare ranch home offering in Glenmoor Country Club! MLS#9450013. KENTWOOD REAL ESTATE DTC, LLC. Cherry Hills - Please take care when showing back patio. MLS#7296952. LIVE URBAN REAL ESTATE. Cherry Hills - ** Total SF and Total finished SF includes the finished guest house which is 1035 SF MLS#8963566. LIV Sotheby's International Realty. Convenient location with quick access to I-25, DTC, Cherry Creek and excellent schools & shopping. MLS#8089183. LIV Sotheby's International Realty. Cherry Hills - Wide planked hand distressed mahogany wood floors, 7 1/2' and 8' solid Knotty Alder doors, top of the line cabinetry, a perfect mix of granite, travertine, and slate countertops and floors complete this home. MLS#2663683. KENTWOOD REAL ESTATE DTC, LLC. The home is completed with a three-car & two-car garage with brand new epoxy flooring & custom cabinets. A Must See! MLS#3589090. Coldwell Banker Residential 44. Perfect for warm summer nights, an unbelievable new patio and new pergola with fire-pit hookup rounds out the incredible .80 acre site. MLS#4789656. LIV Sotheby's International Realty. Finished basement includes a wet bar, wine cellar, theater room, billiard room with fireplace, bedroom and full bath. MLS#6355341. KENTWOOD REAL ESTATE DTC, LLC. Cherry Hills - Visit www.8CherryHillsParkDrive.com BUYER TO RELY ON THEIR OWN EXPERTS WITH RESPECT TO SQUARE FOOTAGE. MLS#6097947. KENTWOOD REAL ESTATE DTC, LLC. Cherry Hills - Enjoy this friendly, gated community with 24-hour service, seven days a week. MLS#7691260. Porchlight Real Estate Group. Cherry Hills - Upgrade your lifestyle and LIV Bold! MLS#6938879. LIV Sotheby's International Realty. Free Deck W/Motion Lights & Speakers*newer Hail Resistant Roof*newer Ext Paint*elegant Formal Dining Room*wet Bar*custom Blinds*central Vac*circle Drive W/Water Feature And A Basketball Court For The Family To Enjoy* Renown Cc Schools*close To Public Trans*lots Of Storage N Unfin Bsmnt*rough-in Plumbing*seller Open To A Bitcoin Transaction! MLS#6941825. RE/MAX Leaders. Separate full Guest Apartment and Greenhouse as well as beautiful Pool House. MLS#8286032. KENTWOOD REAL ESTATE DTC, LLC. 2 additional guest suites with attached baths and a family gathering space or game/den also on the upper level. visit HTTP://10cherryhillsparkdrive.com MLS#2969929. LIV Sotheby's International Realty.